Advanced Freeroll Poker Strategy - Casino Answers! Basic poker strategy can get you pretty far in freerolls, because most of your competition won’t be very good – and that’s putting it nicely. Still, in a big field there will be plenty of landmines: a tricky player here, a big hand there, and the occasional person who really knows what they’re doing. Here are a few poker tips to get you through to the money more often. And once you master these advanced freeroll tactics, you’re ready to take on the stronger tournament players at the likes of Full Tilt Poker. Watch for players who are being blinded off. Because freerolls don’t cost anything to play, some opponents might lose interest or get pulled away from the computer during the event. This means there will be plenty of opportunities to get free chips by raising in late position when the blinds are sitting out. Getting a few chips early in a poker tournament is a small edge, but getting a big blind or two late in the freeroll from a player sitting out might be the difference between survival and busting. Figure out how your table is playing. While playing tight and aggressive against most bad opponents is a solid strategy, your table makeup might allow you to make a few plays, especially in late position. If many hands are going to the flop without a raise, you can play a wide variety of hands, particularly low pairs and suited connectors, hoping to make a big hand and outplay your opponents post flop. In late position, you might even be able to play just about any hand as long as you have a big stack and you’re confident you’ll get to the flop for cheap. Avoid confrontations with strong players. This might be sound tournament poker strategy in general, but it’s especially true in freerolls. Because many of your opponents will be terrible players, you don’t need to risk your stack in direct confrontations with the occasional good player you’ll find. Later in the tournament, you may not be able to pick your battles, but while the blinds are small and your stack is large, you can stay out of hands with the other sharks unless you have a monster hand. Get aggressive near the bubble. As the money gets close, players tend to tighten up. This is true in freerolls as much as any other tournament, because after playing for several hours, nobody wants to go home with nothing. You can take advantage of this by stealing more pots, which will increase your chances of taking one of the top spots in the tournament. If your freeroll still features a lot of players playing very loosely on the bubble, though, you may want to revert back to basic poker strategy. Aggressive play pays of best when your opponents are likely to fold to your raises. Whether you’re in one of the world’s biggest tournaments, or a free poker tournament with just a few dollars in prizes, the most important thing you can do is stay focused and be observant. All of the suggestions above start with basic poker strategy, and only suggest changes based on how your opponents are playing. It’s up to you to see how the rest of the field is playing and change your game accordingly. 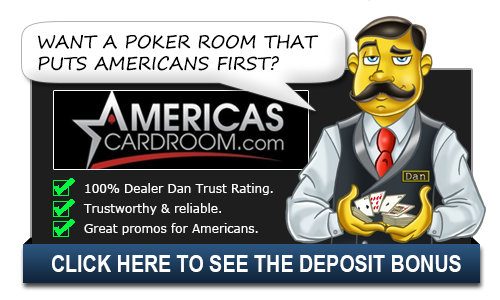 Now you’re ready to play with the big boys, head on over to Full Tilt Poker. Advanced Freeroll Poker Tactics, how can a good player take advantage of freerolls?